Gazzaniga. 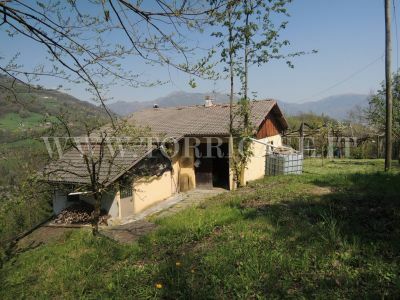 Hillside farmhouse to be restored with 4000 square meters of land served by light, water and road. The building consists of an apartment of about 60 square meters consisting of a living room with kitchenette with access to the porch, 2 bedrooms and bathroom. Adjacent there is a local warehouse of 65 square meters that allows you to expand the current home or to build another unit. The property includes the cellar, a storage room, the storage room and the garage. The apartment is equipped with double glazed windows and heating system complete with a decharazone of conformity. Very sunny due to good sun exposure (East / South / West). 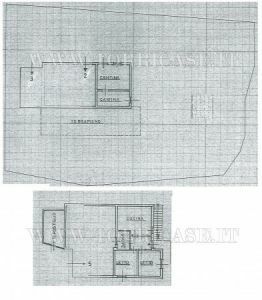 The price also includes a wood of 2,900 square meters near the property. The address indicated is indicative.